Staff photo by Graham Cullen Author Tim Snyder, shown here at Lander Lock, near Point of Rocks, wrote a book about the role of the C&O Canal during the Civil War. St. James United Church of Christ, 10 East Broad Way, Lovettsville, VA.
On Sunday, March 12, 2017, the Lovettsville Historical Society will continue its 2017 Lecture Series with a presentation by historian Tim Snyder on the role of the C&O Canal during the opening phase of the Civil War. One week after secessionists fired upon Fort Sumter on April 12, 1861, Confederate forces seized the U.S. federal arsenal at Harpers Ferry. Some of these Confederates then undertook to seize a boatload of grain being shipped from Charles F. Wenner’s warehouse in Berlin (Brunswick) to Georgetown. On April 24, at Point of Rocks, the Confederates forcibly boarded Wenner’s canal boat and seized his grain – triggering a protest and demand for compensation issued by the Governor of Maryland to the Governor of Virginia. Eventually, Virginia did compensate Wenner, who happened to be a Lovettsville native. 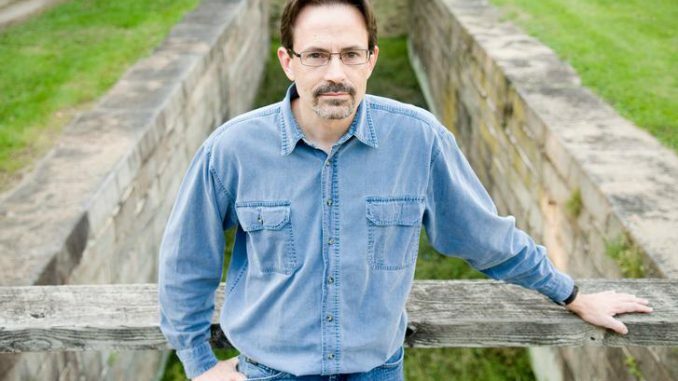 Tim Snyder, author of Trembling in the Balance: the Chesapeake and Ohio Canal during the Civil War, plus many articles in Maryland historical journals, will explore the importance of navigation along the C&O Canal before and during the Civil War. He will also discuss how the C&O Canal became an object of contention between the Union and Confederate Armies early in the war. For more information, contact info@lovettsvillehistoricalsociety.org or see our extensive website at www.lovettsvillehistoricalsociety.org. Date change April 23 – “Myths about Lee’s Surrender,” what really happened at Appomattox–separating myth from fact. By Patrick Schroeder, Historian of Appomattox Court House National Historical Park. May 21 – “Mapping the Short Hill,” by Loudoun County historian and map-maker Eugene Scheel. June 11 — Colonial Life in Maryland and Virginia, by Prof. Paul McDermott., Professor Emeritus at Montgomery College. July 9 — “The Edwin Washington Project: Documenting Pre-Integration Schools of Loudoun County” with Larry Roeder, Principal Investigator. The project, begun in 2012, is working to fully document the “colored” schools of Loudoun County – including in Lovettsville — that existed between the end of the Civil War and full integration. August 13 – The Story of Storer College. 150 years ago, in 1867, Storer College opened in Harpers Ferry and welcomed former slaves who sought an education, and it grew from a one-room schoolhouse into a degree-granting college open to all races, religions, and sexes. Presented by National Park Service Ranger Guinevere Roper.